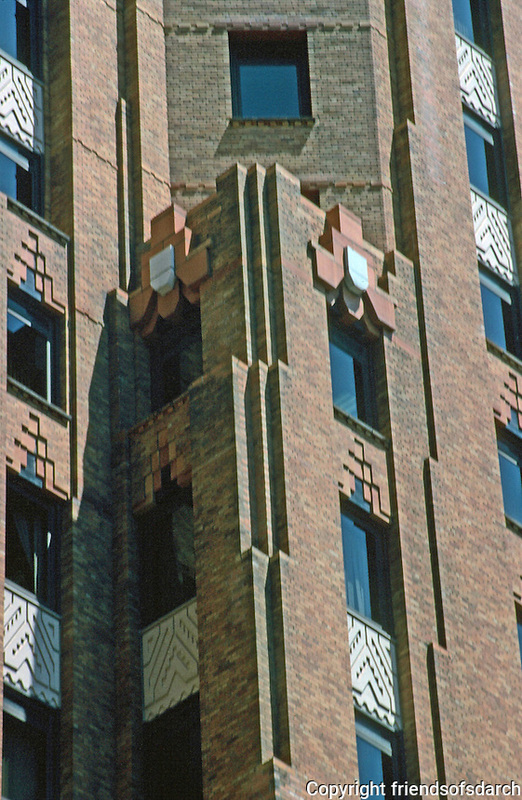 Detroit: Guardian Building-- detail of facade. Notched and stepped-back South Tower. Photo '997.